Franchising Opportunities - Want to Have Your Own E-Cig Shop? Franchising Opportunities – Want to Have Your Own E-Cig Shop? Ever dreamed of owning your own shop? Of being your own boss? Are you a vaper? Why not open up your own e-cig store? Of course, from experience we know that this is easier said than done. Forbes' calculates that approximately 543,000 small businesses get started each month, and yet each month more employer businesses shut down than start up. In other words, it can be brutal to start your own business these days, especially in today's economic climate. One opportunity that is often not considered is a franchise store. Whether you are an avid vaper wanting to make your mark on the e-cig community, or an eager entrepreneur looking to get a foot in the door of the booming e-cig industry—or perhaps a little bit of both—then we invite you to consider the lucrative franchising opportunities with VaporFi and the International Vapor Group (IVG). Keep reading to find out more about how franchising works, the benefits of this business model, and what VaporFi can offer you. Franchising is a business strategy wherein a company is able to enlarge its market influence more quickly and less expensively by contracting out their business model and brand to various individuals, typically called "store operators." In return, the operator pays the franchisor an initial fee and/or a specified percentage of sales throughout the term of the franchising contract. Essentially, franchising is way for individuals who want to operate and run their own business to establish a relationship with a proven successful company in order to use its resources and get a faster ROI, or return on investment. Currently, there are an estimated 2,500 franchises in the U.S., and over 600,000 units. In fact, some of the biggest businesses in the country have utilized the franchise business model to grow their company – examples include such household names as Subway, McDonald's, 7-Eleven, H&R Block, Great Clips and Dunkin' Donuts are all franchised businesses. For a franchisor, this business model offers a less risky alternative to expanding their distribution and marketing in a way that does not have as much liability or overhead costs compared to building chain stores. Lastly, for the most important group—the customers—one of the main advantages of franchising is being able to trust the reliability and durability of the product they are buying and the customer service they can expect to receive. As a customer shopping at a franchised store, you can generally count on the fact that the quality of the product and/or service will be comparable with another location. With e-cig sales projected to exceed $2 billion in 2014 and continuing to break records, opportunities in the vaping industry are virtually limitless—and franchising with VaporFi is one of the best. As one of the most popular manufacturers of superior, high-quality digital cigs nationwide, VaporFi and IVG are able to offer a low overhead business model—which means more savings and profit for you—and the flexibility to let you decide where your store is located and what store format you prefer (i.e. kiosk, mall store, free-standing store, etc.) And that's just the tip of the iceberg! 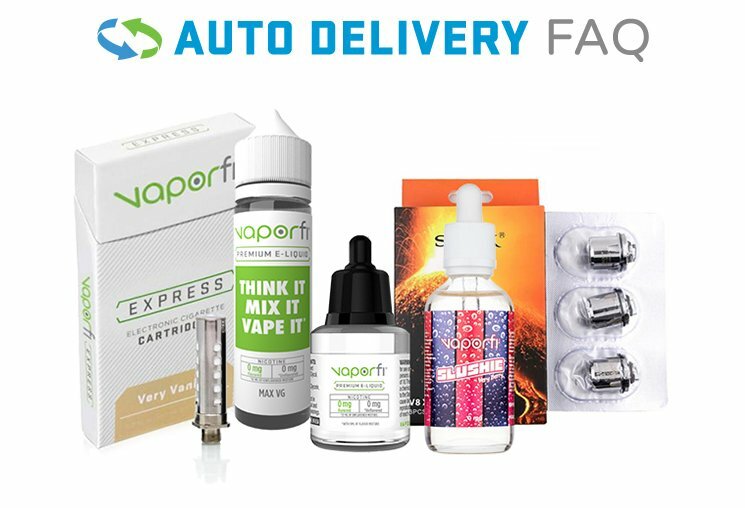 If you are interested in finding out more about VaporFi franchising, then you will definitely want to check out our e-cig franchising information page for more details on how to apply, the on-site training and support process, and the many advantages of joining the awesome IVG team by opening up your own VaporFi store. Also, feel free to talk directly with a member of our customer support team and request more information by calling us toll-free at 1-855-93-VAPOR (1-855-938-2767). We look forward to hearing from you!